The Cooperative Research Centre for Advanced Composite Structures (CRC-ACS) is Australia’s foremost research and development centre in advanced composites. The CIC and the CRC-ACS have collaborated on various projects since 2007, working towards advancing the development and commercialization of composite materials and processes. The current collaboration program is the Bio-Composite Design Theory Development Project, a $5 million project that is sponsored primarily by the Australian Government. The participants in the project are collecting information to be able to perform predictive modelling of the performance of biocomposites. This will facilitate their introduction as structural components in various manufacturing industries. Since FibreCITY, the world’s foremost centre of excellence for agricultural fibre grading, has been established at the CIC, our staff have been using the lab to perform fundamental quality analyses of biomaterial sources, such as flax and hemp. Angelica Legras, University of Queensland PhD student, spent the summer participating in the establishment of new equipment in FibreCITY. 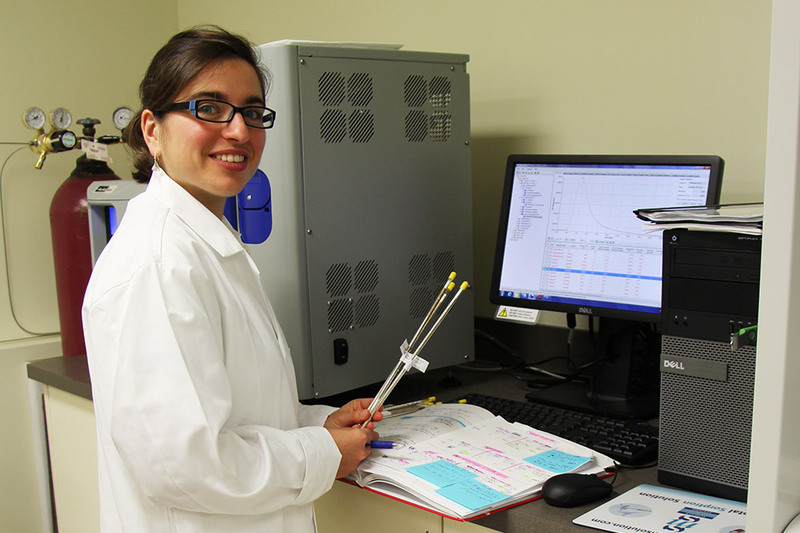 She worked specifically on the Inverse Gas Chromatograph (IGC) system, which enables the determination of fibre surface energy profiles. The surface energy is related to the adhesion/cohesion properties of the natural fibres and how they interact with the matrix. Angelica worked towards commissioning the IGC equipment so that it can be fully integrated into the fibre grading process in FibreCITY. This equipment will provide important information to broaden the knowledge of the interfacial behaviour between the fibres and the matrix, a key component in optimizing natural fibres for use in biocomposites. With the CIC’s and the CRC-ACS’s participation in this collaboration project, both organizations’ knowledge and network of contacts in the biocomposites industry as well as the scope of work that can be performed is growing. 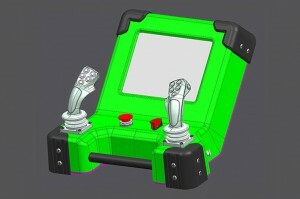 Sandvik Mining approached our design team to improve the functionality and durability of the Sandvik Eris Control Panel and to lower the manufacturing costs. 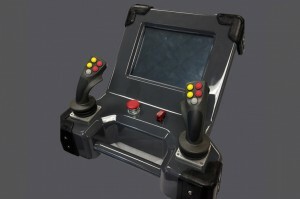 The panel is used in a harsh mining environment to remotely operate mining equipment and needed to be waterproof, durable and house the current computer operating system as well as older versions. Working with Sandvik Mining, we designed and developed a waterproof fibreglass enclosure prototype that is durable enough to withstand the mining environment. A major requirement for the new enclosure was a reduction in manufacturing costs without losing the performance properties. With this new design, the cost of manufacturing the enclosure is 20% of the original, allowing the product to remain cost-competitive while increasing profit margins. There was also a weight reduction of 12% from the original enclosure, which makes it easier to transport. We did a series of impact testing to select the best materials to manufacture the enclosure with as well as added rubber corners to increase the impact resistance and lifespan of the enclosure. The panel is built and assembled by Manitoba companies including Eastside Industrial Coatings and Composites, Hi-Tec Industries, Dragan Technologies Inc. and State Industries. The prototype is undergoing field-testing and will soon be put into production.